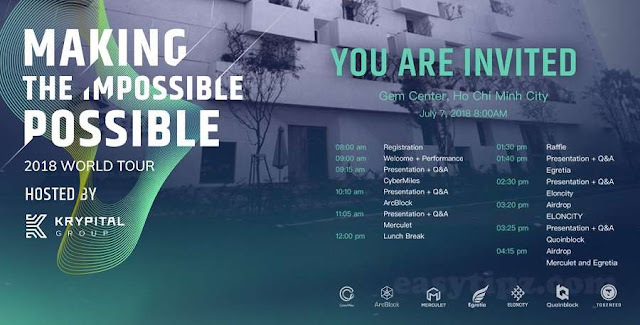 Home Investment Make Money Eloncity team will join the 2018 World Tour blockchain workshop - "Making The Impossible Possible"
The workshop will be attended by renowned speakers such as Dr. Lucas Lu - CEO of CyberMiles, Ivan Jiang - CEO of Merculet, Peter Huang - CEO of Egretiak, Robert Mao - CEO of Arcblock, Quoinblock CEO, Andy Li - CEO of Eloncity, Le Tuan Anh - CBO Krypital Group and Ms Maggie - CEO of Krypital Group. All the ICO projects that promoted by Krypital Group recently gets many successes and growing fast in crypto market cap. 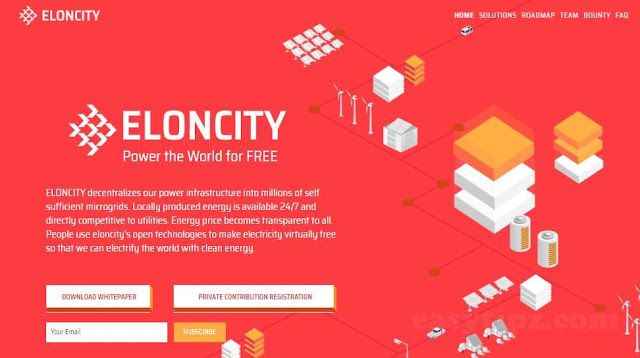 Eloncity is the next project promoted by the Team. - And in Ho Chi Minh city, Vietnam on July 07. The next destination of the event series is in Ho Chi Minh city, Vietnam. - Place: No. 8, Nguyen Binh Khiem Street, Dakao Ward, District 1, Ho Chi Minh city - The 5 star GEM Hotel will be the honor to welcome many CEOs of blockchain projects in the world at the moment. This is also a chance for leaders of Blockchain projects to exchange with technology enthusiasts in Vietnam. At the Workshop, the Invitees will answer all your questions about Bitcoin, blockchain and cryptocurrency related. Also at this event, participants will be able to exchange, learn, share more about skills of project analysis, better understand the financial fluctuations. 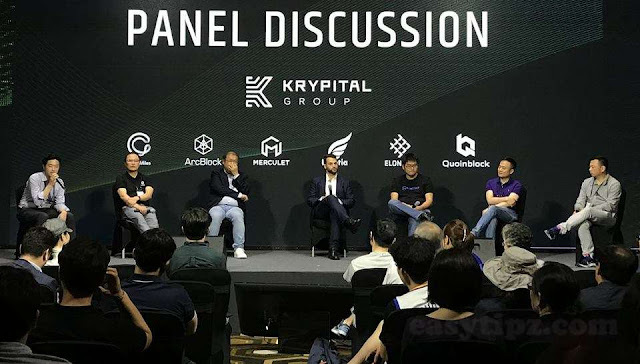 To help Blockchain enthusiasts better understand the projects that Krypital Group has collaborated with the public from 2017 to now and in the future. The CEOs will have an in-depth technical presentation, sharing the potential value of the project. In addition, the Blockchain experts also have a direct dialogue with the user in Vietnam in the direction of Q & A.
Peter Huang - CEO of Egretia: Peter is a businessman and veteran of the gaming industry. Before exploding in online games, Peter founded 1D - an online music community that uses Flash technology to allow users to sing and play games together. During his time as a technology platform manager at Adobe, he was responsible for promoting Flash technology and making money through online traffic. By 2017, Peter used H5 technology and Blockchain to launch Egretia, the world's first Blockbuster HTML5 tool. Robert Mao - CEO of Arcblock: Robert is an entrepreneur, he is also known as a research scientist. His diverse background includes computer science as well as an MBA from the European International Business School. This helped him to "cherish" the technology and business of the blockchain world. Prior to founding ArcBlock, Robert was a researcher for Microsoft on their Redmond campus, and also a co-founder and CEO of PixoMobile. Bangdao Chen - CEO of Quoinblock: Dr. Chen holds a Master's and Doctorate in Computer Science from Oxford where he also participated in postdoctoral research in decentralized and secure authentication and authentication. payment security and communications security. This has helped Dr. Chen become one of the world's leading minds in this field. Andy Li - CEO of Eloncity: Founder of ELONITY and POMCube Inc. He is an expert in the field of backbone network optimization, FEO, as well as in / out on the network (s) while working for Cisco Systems, ChinaCache and Alibaba Cloud. Computing. By the end of 2014, Li had established POMCube to develop a battery energy storage system (BESS) with increased efficiency by using the ToU difference to reduce the electricity cost of the payer. By 2018, Li has set up ELONCITY, a company that manufactures Blockchain technology to sustain renewable energy development and make electricity affordable for everyone. Le Tuan Anh - CBO Krypital Group: He is the business manager of Krypital Group and the first in the Vietnamese community to analyze and urge the Vietnamese community to boycott the project under the shadowed ponzi model. Purebred. He also serves as an advisor for projects such as CyberMile, ArcBlock and the Cryptocurrency Key Opinion Leader of the local and international community. Ms Maggie - CEO of Krypital Group: Maggie is known for her knowledge of Cryptocurrency as well as in the area of ​​block engineering. Maggie has played an important role in the current Cybermiles project and the development of Krypital Group.